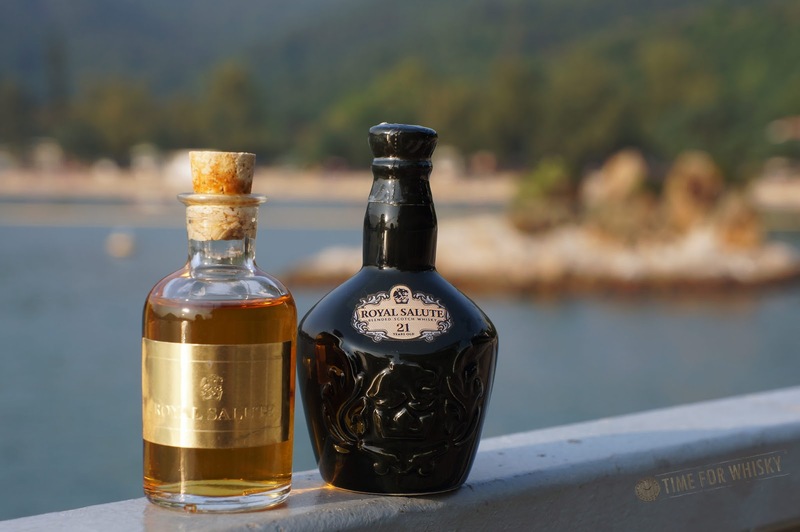 Back in 2008 when I was just starting to get "into" whisky, I picked up a Royal Salute 21yo ceramic flaggon during one of my work trips. I didn't know a whole lot about it (other than it was a 21yo blend), but it was a purchase I was happy with - one of my first "better" whiskies, and the (empty) bottle still adorns a shelf back in Sydney to this day. The Royal Salute has continued to be a staple of the Chivas Brothers portfolio (note it's not a "Chivas Regal", but a separate brand owned by Chivas Brothers / Pernod Ricard), and over the years various limited edition variants have been released. One such variant is the new "Polo Collection" (aka "Polo Edition") 21yo, released originally in Singapore travel retail, and (as of September 2017) world-wide. Marketed as a "lighter, more delicately flavoured" expression to be enjoyed during the day, it comes in an eye-catching turquoise porcelain flaggon, with distinctive Polo markings to celebrate the brand's long-standing association with the sport of Polo (the horse kind, not the water kind). A day-drinking whisky? What's not to love about that? 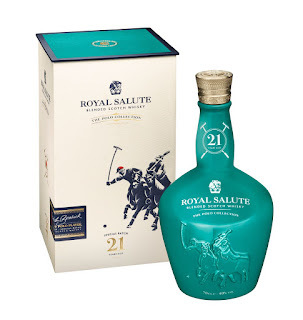 A good mate from Pernod Ricard was kind enough to give me a sample of the new expression, along with a regular Royal Salute to allow a comparison - see below for my thoughts. Nose: Light and fruity - you can see where the "daytime" whisky tag comes from. Tropical fruits - pears at first, then some mango, with banana undertones. Some lychee too. Palate: Light, but flavoursome - lychee and lemon predominantly, then salted / dried mango slices. Finish: Long, slightly oaked and with residual hints of toffee / burnt sugar. Rating (on my very non-scientific scale): 89/100. Definitely a summer, "day drinking" whisky, and an enjoyable one at that. Colour: Deep orange gold. I really couldn't differentiate between the two. Nose: There's some fruit like on the Polo Edition, but it's more citrus, and in the background, as toffee, caramel and milk chocolate take the forefront. Eventually some cherries and stewed apple slices emerge. Palate: Caramel / chocolate chews, toffee, apple tart, oak with occasional wisps of smoke. Finish: Long, slightly smokey with the apple tart notes carrying through to the end. Daytime in the middle of summer, outdoors? The Polo Collection. Nighttime, relaxing after a nice meal? The regular edition. Let's call it's (Polo) horses for courses. Thanks to Muzz and Pernod Ricard Hong Kong for the samples.